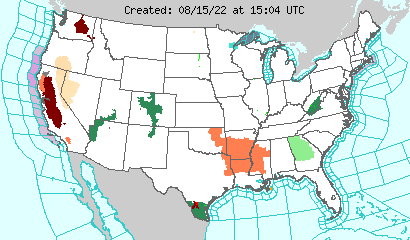 Severe weather affecting Central U.S.; Tornadoes, large hail, damaging winds possible in N. Texas; WSI raises 2008 Atlantic hurricane forecast; Is China’s cloud-seeding plan all wet? Is China’s cloud-seeding plan all wet? Weather News: Strong storms hit Oklahoma, Louisiana and Missouri: Weather service confirms two tornadoes in Okla.